When it's hot hot hot, keep the party cool with a little south of the border flair and a tray of ice cold beers. You can serve up the beer and lime design of the Mas Cervezas Flyer, featuring a colorful, Mexican blanket background and space to upload six logos or images right from your hard drive to the ticket template. 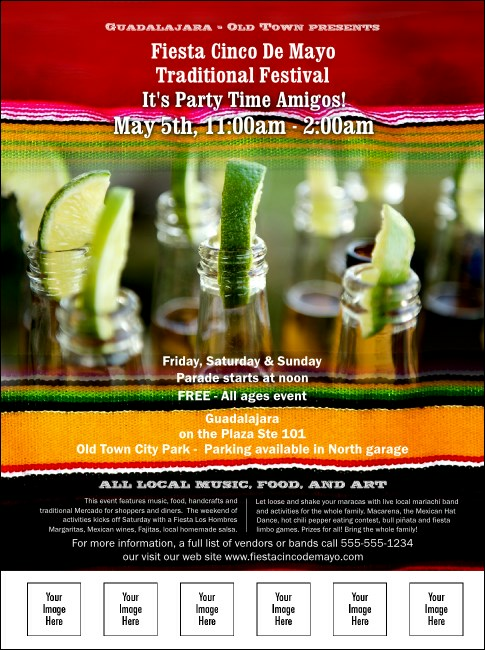 Let TicketPrinting.com handle the event publicity so you can take a siesta before the fiesta.